Hunts. 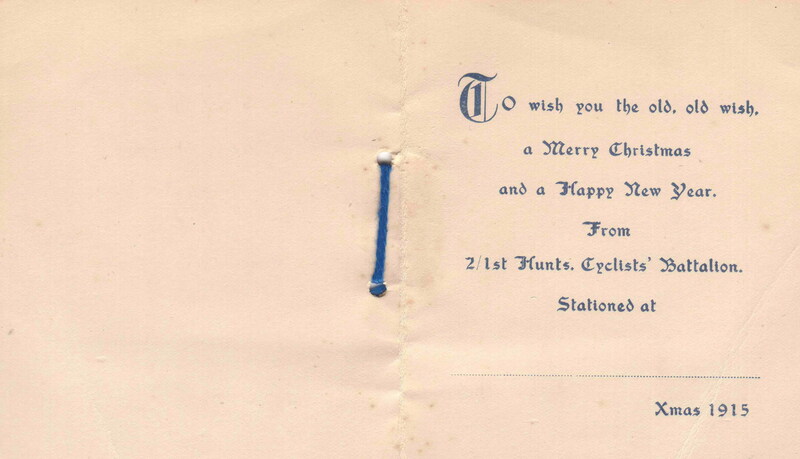 Cyclist 'Swagger Stick' - with capping of metal with the Rampant Stag and Huntingdonshire - the Cap badge of the H C B.
Xmas Card produced for 1915 for the men to send home to family and friends. Clock presented to a H. C. B. soldier. More data to follow. 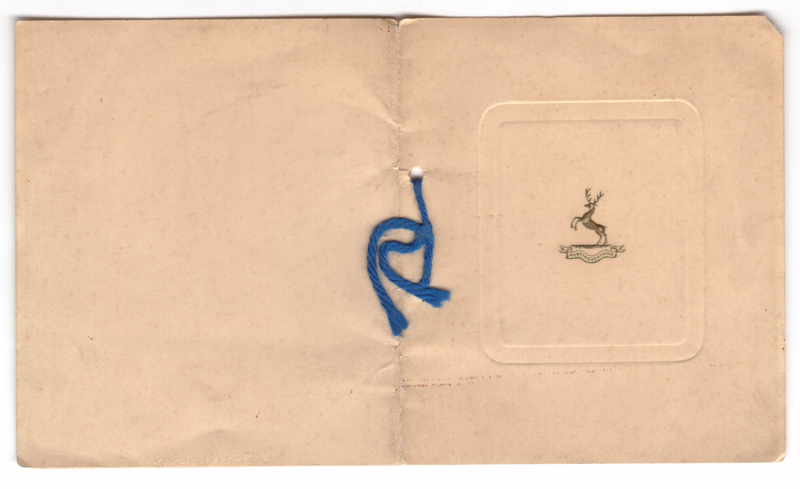 Many thanks to all the people who have contacted me and provided the interesting items and photos on this page.